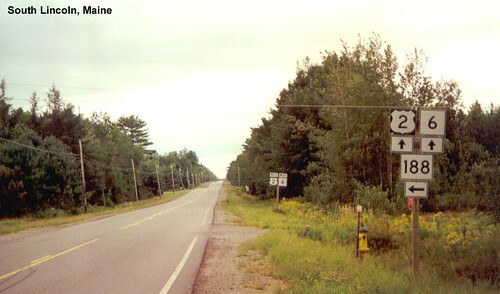 US 2 begins at the Canadian border in Houlton, Maine. 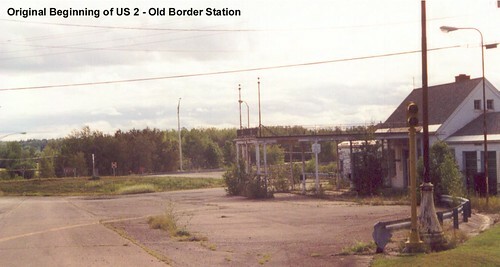 The border crossing is now on nearby I-95, but at one time US 2 crossed the border and the old buildings at that border crossing still stand although the road behind me is now closed. The first shield on US 2 after exiting I-95. 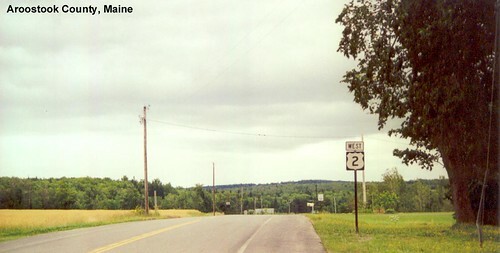 US 2 is a two-lane road for most of its journey across Maine. Logging is a major industry in these parts. 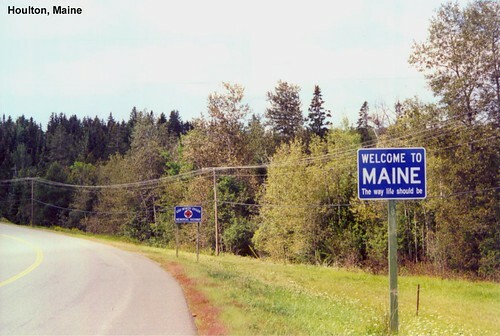 I-95 parallels US 2 through this sparsely populated part of Maine, so US 2 sees very little traffic. I thought these Town Line markers were really cool since some of the towns are identified by coordinates rather than names. US 2 is multiplexed with ME-6 in South Lincoln. 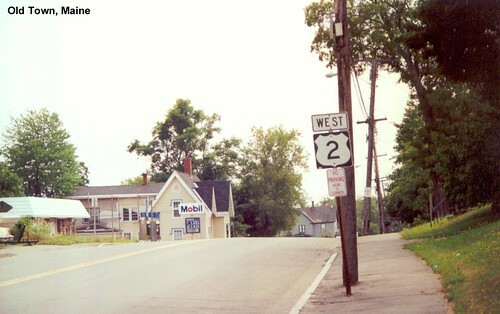 US 2 in Old Town. 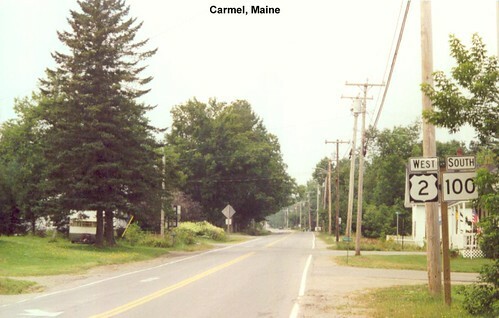 US 2 is multiplexed with ME-100 in Carmel. 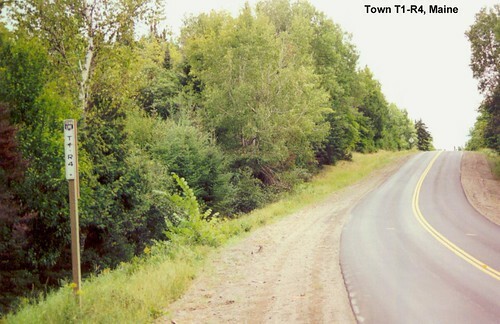 US 2 in Skowhegan, Maine. 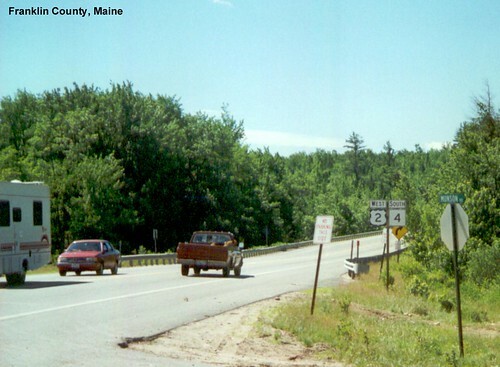 The summer sun shines on US 2 as it passes through Dryden. 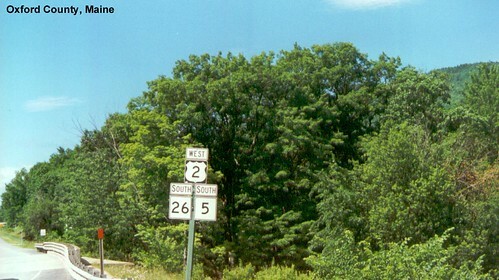 In Oxford County US 2 is multiplexed with ME-26 and ME-5.